Mother’s Day is just a few days away. Which mother won’t appreciate a gift? And when it comes from her little one, irrespective of how simple and small it is, it lightens up her face with the brightest smile. This Mother’s Day we are focusing on niche art and craft activities based on paper plates and make this Mother’s Day special for the mothers and their children. We are sure these ideas are going to melt your heart and bring out the creativity of the toddler. 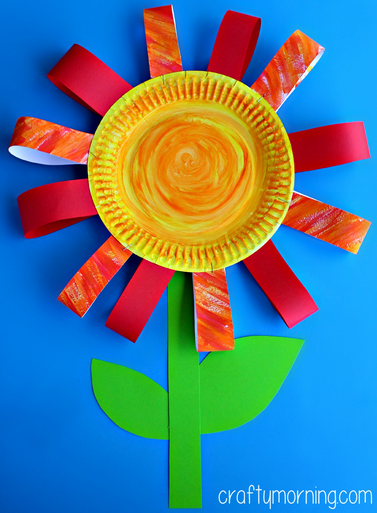 Scroll down and keep reading to learn the awesome 6 simple Mother’s Day paper plate craft ideas. Instructions: Cut different flowers in three colors and cut out the green leaves. Assemble all the flowers by layering pieces and glue to paper plate upside down. Decorate the boundary of the paper plate with small leaves and papers. Punch two holes in the top of the paper plate and tie the string through it and hang on it in the wall. Instructions: Stick the two paper plates rim with each other. Take a paper plate and paint it completely white. You can also opt for a strong white paper plate. Once painted, allow it to dry. And then using a marker, draw a heart in the middle of the plate. 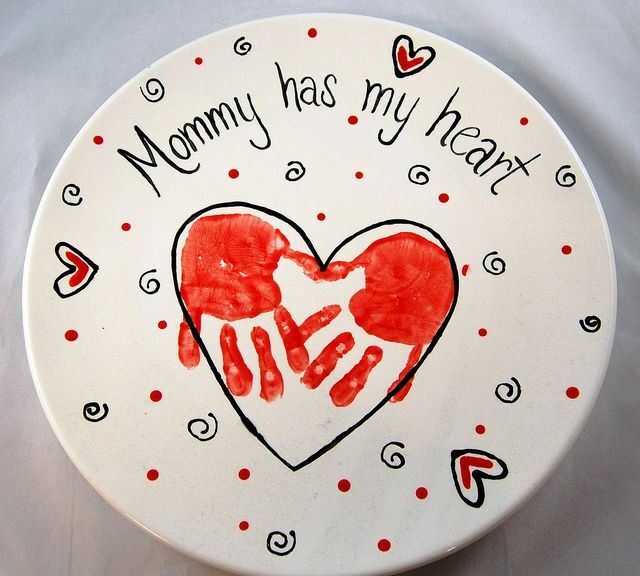 Now paint your little one’s and your hand with your favorite color and both of your hand print in the heart drawn on the paper plate. You can also attach the strings and hang it in your favorite space of the house. 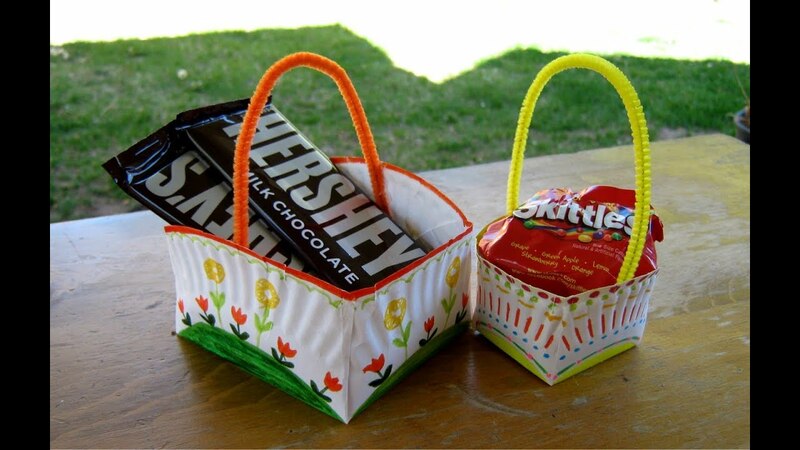 Fill this paper plate basket with your favorite items such as fruits, vegetables, chocolates etc. Instructions: Fold one side in and with the same amount of curve, fold the other side as well. Do this with both small and bigger size paper plates. On the parallel line of the paper plate, cut it till the inner circle of the plate, on all the four sides. Fold the upper-middle portion of the plate into the same level are the inner circle. You can color the paper plate as per your creativity using color pencils or water paint colors. Using the glue gun, stick the point parts and tuck them together. Stick the straws or pipe cleaners on the same side the you fastened the basket using the glue gun. And the basket is ready to fill with candies and chocolates. Instructions: Cut out a circle in the middle of the paper plate. Apply hot glue to the paper plate and stick the paper bowl in the center of the glue. Leave it for an hour for it to dry. Once dried, using spray paint color the paper plate and bowl, and leave it to dry. 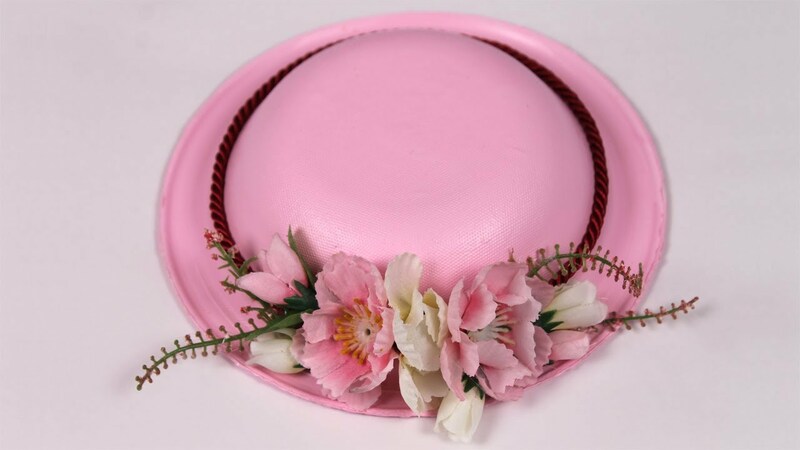 Once dried, decorate the hat with the ribbons and flowers. And the cute and stylish hat is ready to adore. Instructions: Take a white paper and ask the kids to paint it as per their wish. Once dried, cut the first piece of paper into strips and make “loops” stapling them to the back of the paper plate. Cut up some extra red paper strips to add to the gaps. Using the green paper, cut out a strip as a stem and leaves and glue them on the back side of the paper plate. 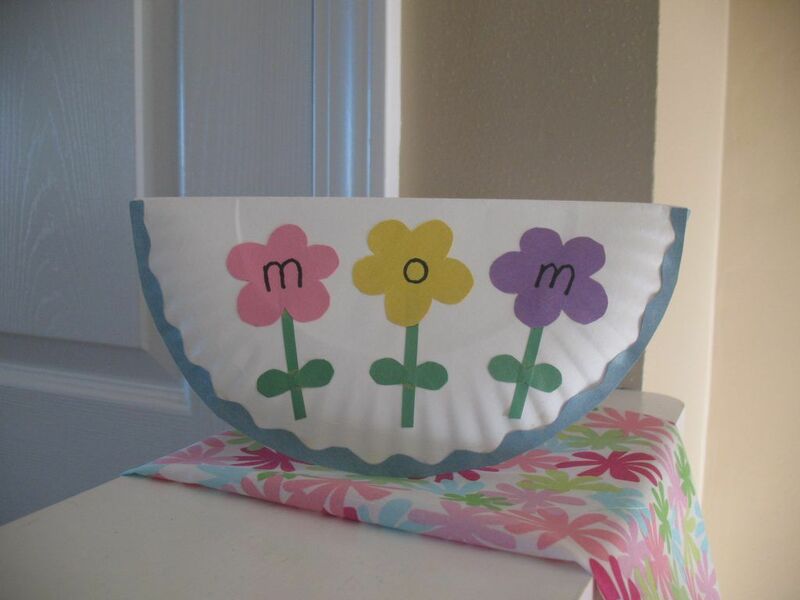 And the huge big paper plate flower is ready to be gifted to your mother. The classic greeting cards are always special. And this one will always be special. Instructions: Fold the paper plate in half. Take the blue paper and fold it into half and place the folded paper plate onto the blue paper. Trace the border of the plate and keep it aside. From the remaining colored paper plates make small flowers with stems. Using the marker, write mom on the middle part of the flower. You can write one letter on each flower or your wish on each flower. Take the folded blue paper and draw a curvy line along the curved edge. Run a glue stick along the curved edge of the front of the card and press one of the blue curved pieces onto it. Open the card and stick along the curved edge of the inside of the card using glue and press the other blue curvy piece on. Let it dry. You may also write a special message to your mom. 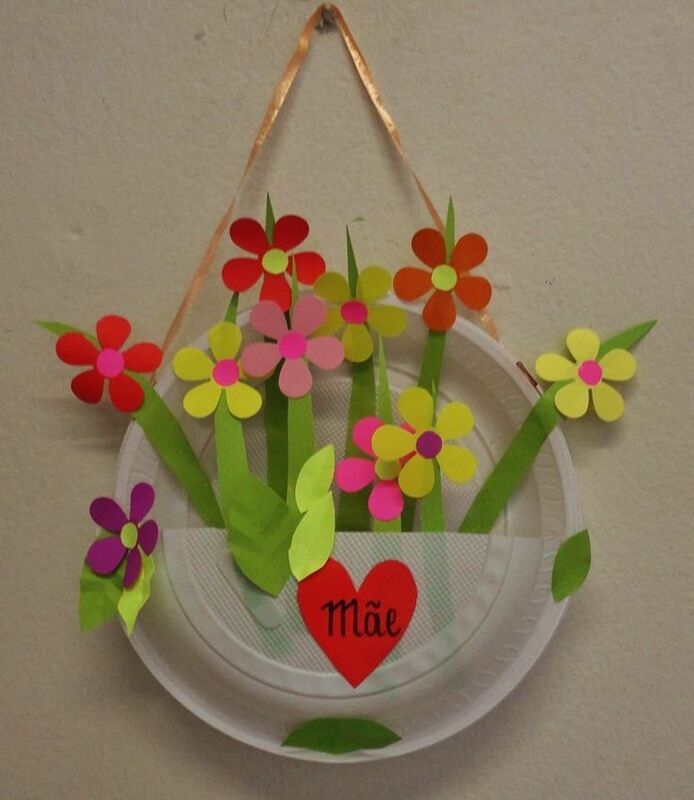 Aren’t you excited after learning about these Mother’s Day paper plate craft ideas? If yes, what are you waiting for? Get crafty right away with your little one.